In 2017 the walking festival included the exciting addition of specially dramatised local stories and songs performed by the Complete Commedia Company. 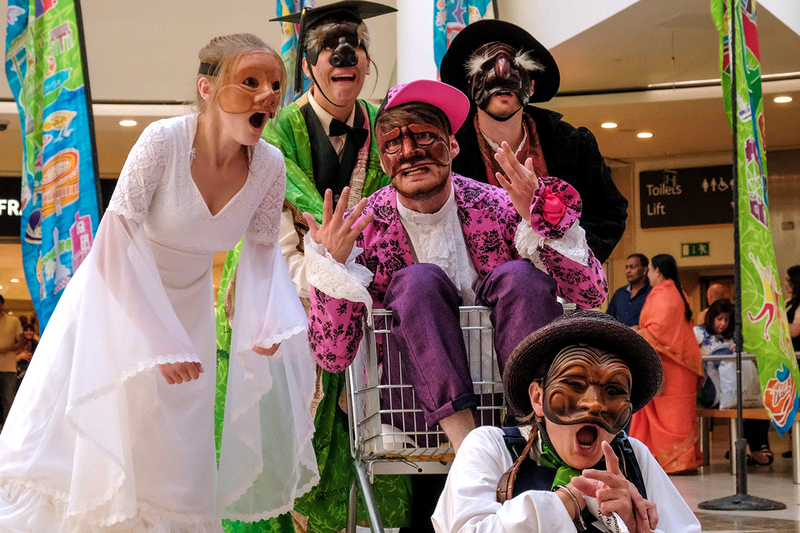 Amongst others, there were tales of Forgers, Shoemakers and what happened at Cash’s Well, all told in the irreverent comedy style of La Commedia dell’Arte with a very Thurrock flavour. Photos from the performances can be found on the GALLERY page. 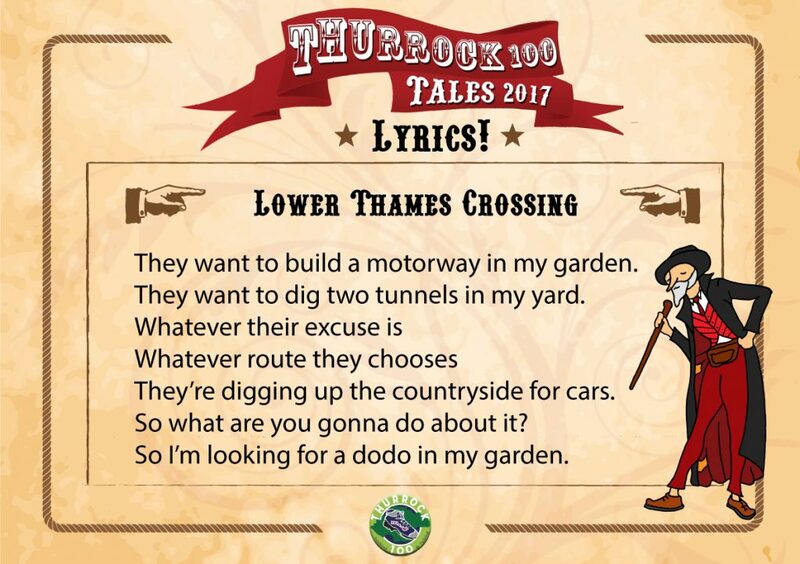 If you want to read the original stories, the book is only £5 plus postage and can be ordered HERE. 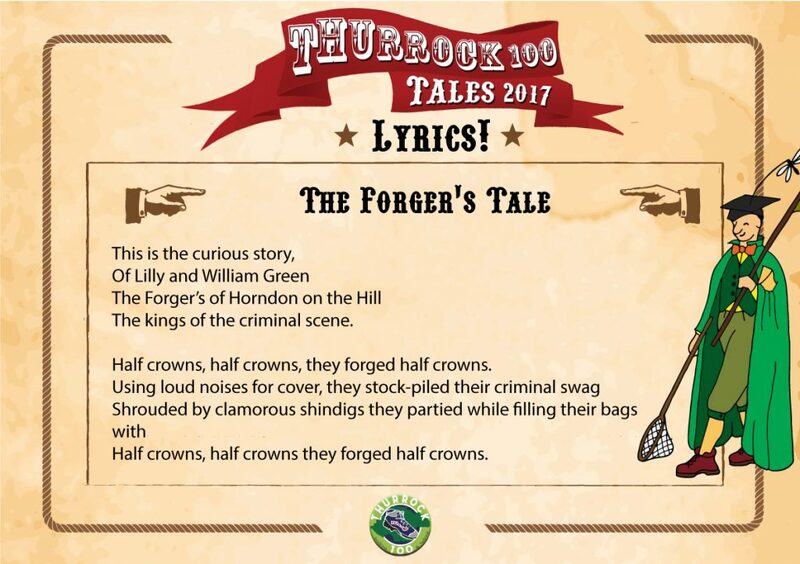 The Forger’s Tale is a humorous, theatrical performance of a story inspired by two of Horndon on the Hill’s most notorious characters – William and Lillian Green who under the disguise of noisy parties, forged half crowns. Their final embrace with the law will be recaptured with a large dose of comedic license by The Complete Commedia Company. 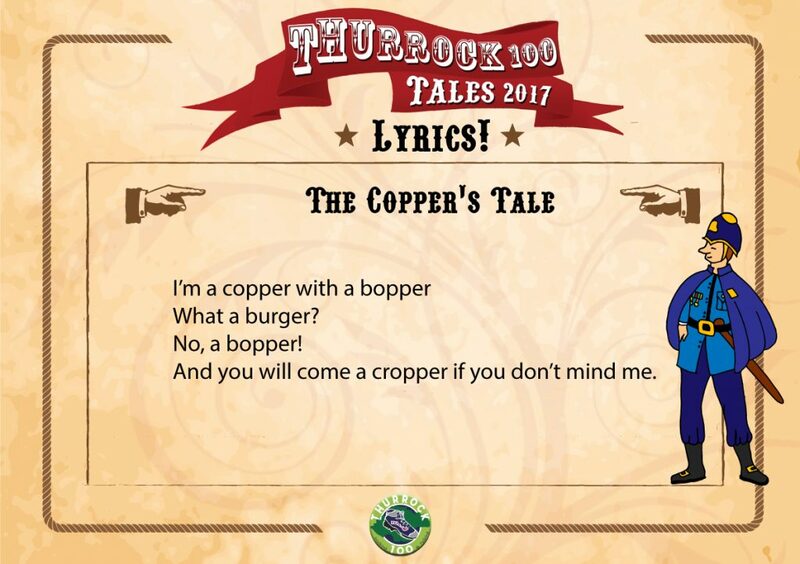 The Copper’s Tale captures the lively stories of characters from Grays, Chafford and Lakeside. Ghosts, poachers, plane crashes and lost shoppers all come together in this anarchic performance! 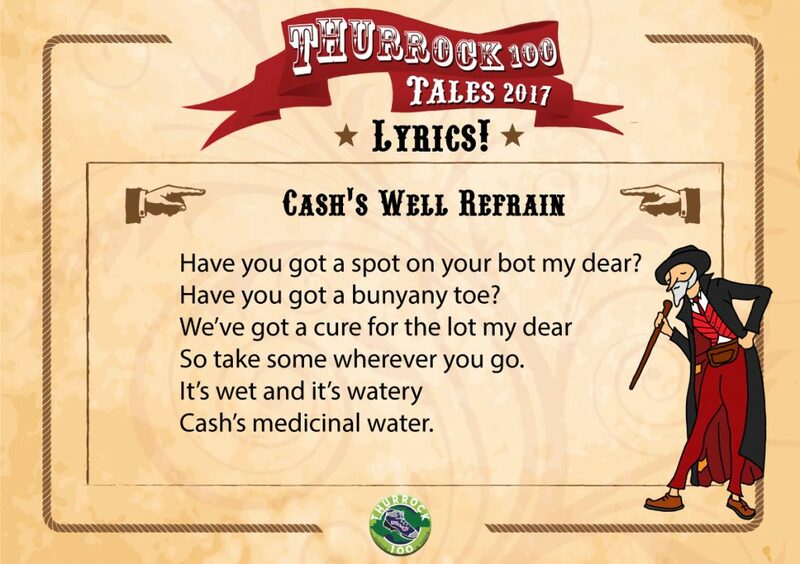 Cash’s Well – Edwin Cash’s story comes from the hills of Langdon where a monument to his enterprise stands testimony to his success as a dodgy dealer. An irreverent retelling of a very contemporary tale! 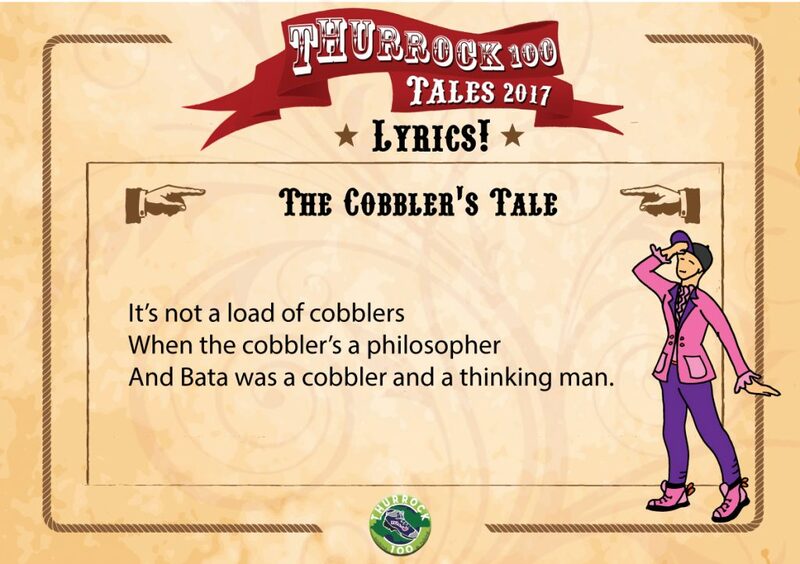 The Cobbler’s Tale – Tomas Bata’s inspirational ambitions for the East of Thurrock echo contemporary events in this tale told with the help of the Bata Heritage Centre. It was performed as part of an animated stroll around the Bata estate which, thanks to its founder, is a surprising example of East European Modernist architecture. If you would like to book the Complete Commedia Company to perform these Tales , please contact them HERE. Below are the new songs, made for the production.